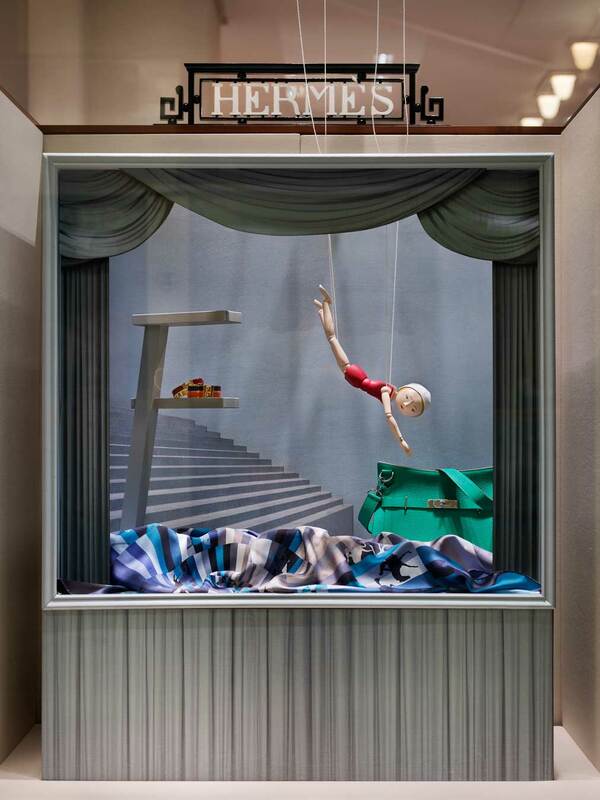 Sports was the annual theme for all the Hermes windows in 2013. 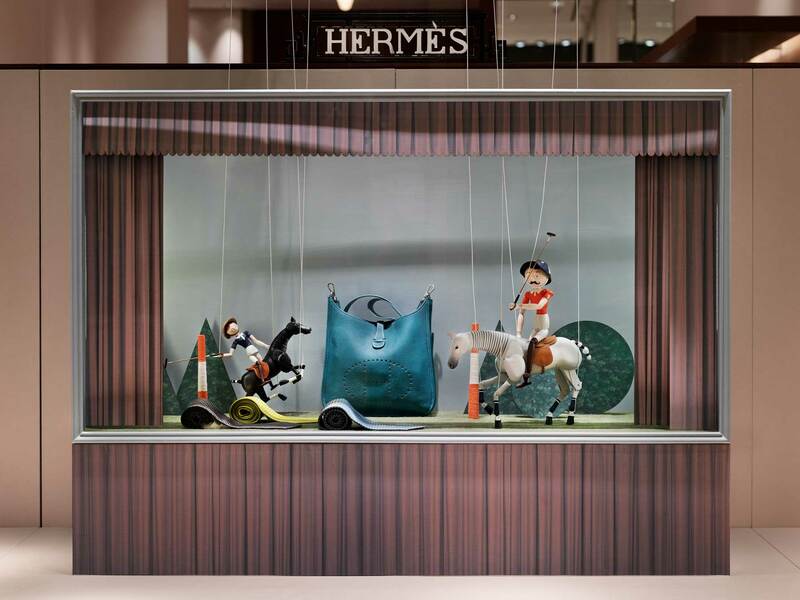 This was the first concept by JTS created for the brand for the re-opening of the store in Stockholm. 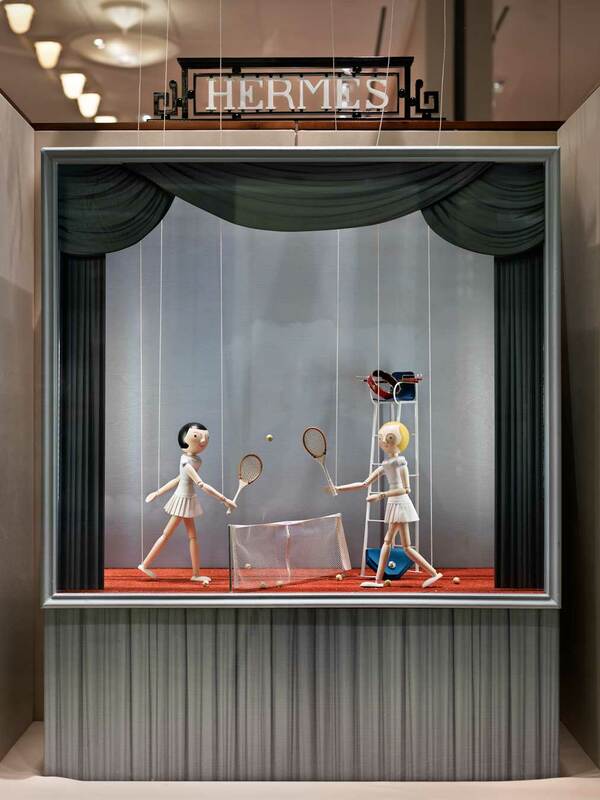 Each window represented one sport – painted marionette puppets and products were the characters of the scenography. All the backdrops and props were made in printed wood.